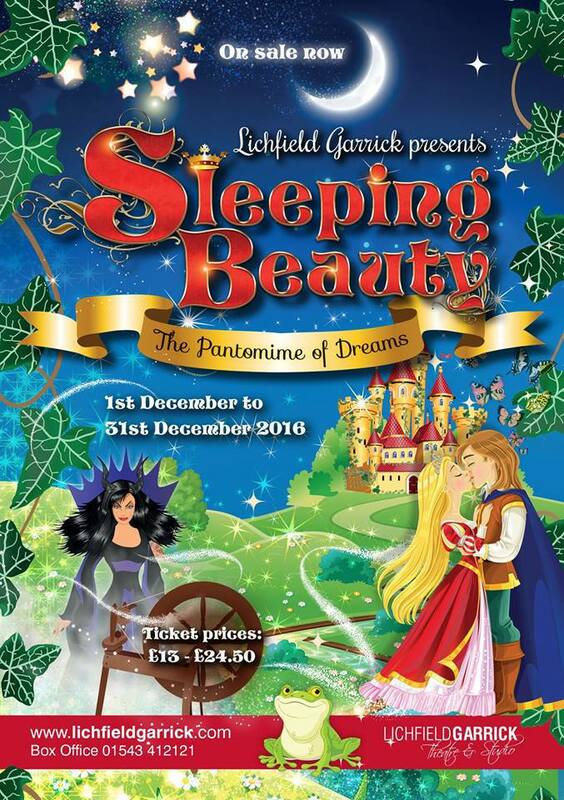 There is little chance of the pantomime team at Lichfield Garrick Theatre resting on their laurels and putting their feet up - oh no indeed! Despite the recently finished panto, Jack and the Beanstalk, breaking box office records, the theatre is already making plans for its next festive production - Sleeping Beauty - which will run throughout December. 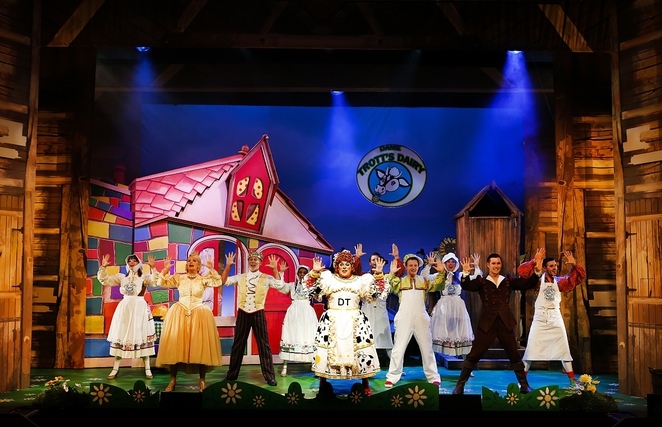 Jack and the Beanstalk, which starred actor Graham Cole as panto villain Hemlock, was seen by more than 27,000 people during its four and a half week run, which ended on January 3. As a result, it also raised just over £6,000 for local charity, the We Love Lichfield Fund, which distributes grants of up to £1,000 to voluntary groups and good causes across Lichfield district. But, rather than take a well-earned breather from the success of Jack and the Beanstalk, the team behind Lichfield Garrick's annual pantomime has already begun preparations for its 2016 enchanting production, Sleeping Beauty – The Pantomime of Dreams. 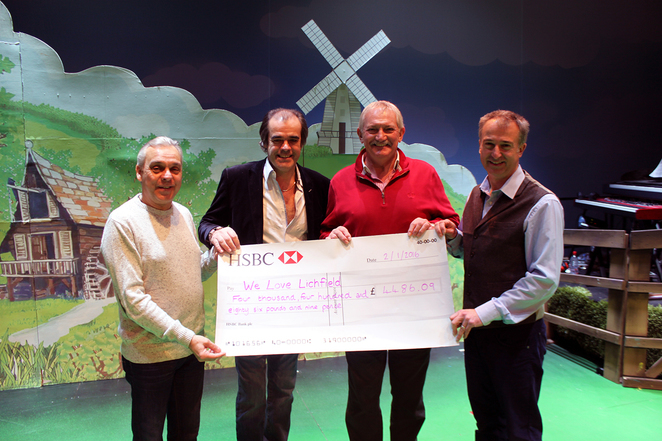 The Garrick will be hoping to match, or even better, the success of Jack and the Beanstalk, and the charity donation, which is being handed over in two instalments. Executive Director Karen Foster said: "During the Garrick's pantomime season, we are proud to have supported We Love Lichfield. Our staff, as part of our commitment to our community, have raised £6,063 for the fund. We are delighted that this will enable We Love Lichfield to reach many community groups and benefit a wide range of local good causes. Our thanks to audience members for their generosity." Jack and the Beanstalk, produced by Artistic Director Tim Ford, was the last to be written by Ian Adams, who also starred as Dame Mary Trott. Tim said: "We have had a fantastic Christmas this year at the Lichfield Garrick. I am incredibly proud of the whole team and I thoroughly enjoyed making the show with Ian. We are truly grateful to him for all the hard work, energy and passion that he has given to the Lichfield Garrick over the last few years and he will be missed. "However I am delighted that we already have plans in place to ensure that Christmas 2016 will be another fantastic show." Simon Price, Patron of We Love Lichfield, said: "This is one of the biggest amounts we have received and I am so grateful to the panto's performers and the Garrick staff for their hard work in raising this amount."